Volunteer seat testers ranging from 5th percentile females (5 feet tall, 100 pounds) to 95th percentile males (6 feet tall, 223 pounds) spent a hundreds of combined hours in prototypes of the 2014 Chevrolet Impala to evaluate and critique seat comfort. Seat testers rode in prototype vehicles for 60 minute intervals, providing feedback after the first 10 minutes. At the end of each 60 minute interval, they would numerically rate each component of the seat, cushion, backrest, lumbar support, head rest and side bolsters. As tester feedback is subjective, these evaluations alone would not have been sufficient to achieve the quality of seat that GM wanted. Oscar, the name of a 170 pound mannequin like tool was used to determine the overall layout and dimensions of the interior, helping engineers to make the best use of available space. 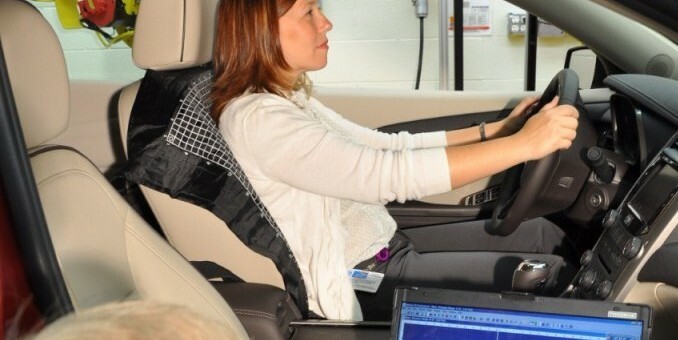 Pressure mapping technology was used to scan the impressions of people of all shapes and sizes over the seating surface, creating a map of over 4,600 data points, allowing engineers to gauge how people sit in the car statically and while driving. So those of you with a 2014 Impala, thank GM’s seat engineers for their continued dedication to the comfort of your buttocks. Better yet, tell them how they did in the comments below. Sorry, Sam, I guess that aren’t that many comfortable butts out there yet. I will be at the Dealership this Saturday and I will check it out. I just bought a 2014 CHEVROLET IMPALA LTZ in June. After 4 months driving, including a 4000 km road trip throughout BRITISH COLUMBIA, I love it. And it really is comfortable. I love it. Thanks GM!!! My 2014 LTZ seat has such an uncomfortable lumbar. My back has developed pain to the point I am now on muscle relaxers and in pt. I need a comfortable seat. Never had this problem in my Toyota. How can I get help with this problem?